A consumer review survey was conducted that was made up of 2,104 entries from a group of 5,000 consumers. This included 90% of the participants being from the US and 10% were Canadian. One of the questions asked was whether the consumers read online customer reviews to determine whether a local business was a good business. The results for 2014 were 88% have read reviews to determine the quality of a local business. Another important finding from the survey was the answer to the question, “How many online reviews do you need to read before you feel that you can trust that business?” The findings were that up to 6 reviews were needed by 67% of the consumers, and 85% said they wanted to read up to 10, while 7% said they wanted 20 or more to review. 1 The simple way is to ask! Ask your clients for their feedback. They are not likely to leave a comment about your product/service unless you indicate to them that their opinion counts. If you are speaking with a client on the phone, or out in the field and they say something positive about your product/service, ask if you would be able to post this as a quote. You can also tell them you can send them an easy to use feedback request which will give them the link to your feedback form. No matter whether you sell online, offline or both, make every effort to get your customer’s email address. This is one way of building your list and can be used to generate repeat sales. Just as importantly you can use it to glean a customer review. A strategy for sending out emails and/ or SMS asking for customer feedback should be developed. These requests should direct your customers to your review form. This way you can have control over them and can handle the feedbacks based on their content being positive or negative. There are many different forms of print media that you can take advantage of to stimulate your customers into giving reviews. These requests can be added to your flyers, promotional materials, brochures, business cards. You can even generate decals and in store signage for this purpose. It is easy to add a few lines to your invoices or purchase receipts asking for client feedback. Make sure the customer reviews are easily seen on your website. If they are buried in your navigation then they won’t be of much value. No matter where you are promoting your Reputation Marketing you want to provide an easy link to your feedback form and feedback page. You want to have both of these properly embedded on your site. You want your customers to know that their reviews are important to you and you value their feedback. You can portray this by having an impressive review page. Your review page should clearly show the star rating each reviewer is giving. It should allow the viewer to clearly read the reviews and show where they originated from The viewer should be able to leave a comment concerning a particular review and have the ability to share it. The review page should also provide easy access for the viewer to leave their own review. Many people are using their mobile devices and you want to be sure that your review material is fully optimized for these. You could compile a survey that is quick and easy to complete on your site, or even in your store that could be filtered in as customer feedback. If you use this for your review form and your review page it allows you to collect profile information about your visitor that you can use in your other marketing campaigns. You should have a way that any of the email addresses you collect can be added to your auto-responder. Have resources in place where you can present your review form and review page in multiple languages. This makes it convenient for all of your clients. You want your review forms and review pages to relate to your brand by using the same colors as what your logo or site colors are. If you have a payment gateway platform on your website. Chances are it has a confirmation page that is given to your purchasing customers. You can put a tracking code on here that will create a call to action for your customer reviews. You remarket, request feedback and send customers to your review form. There are many different places for customers to leave reviews. You want to be sure that you visit these major sites and set up your profile there. If your customer has to do this before being able to leave a review, then chances are a lot of them won’t bother. Not all review sites are easy to work with, so you can assist your customers by giving them some instructions with the appropriate links. The footer of your webpage is a good place for this. 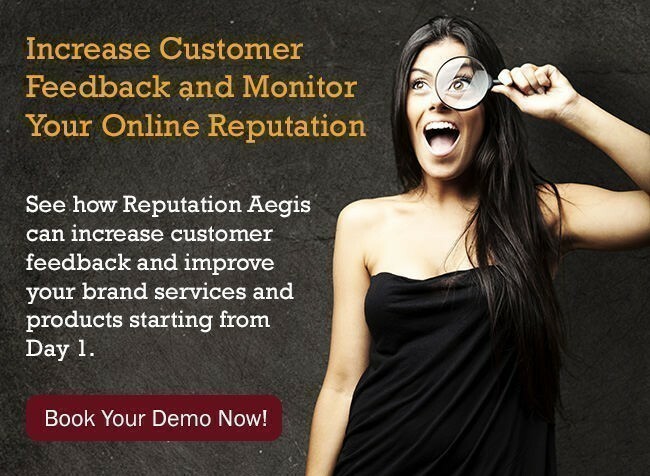 You can also embed a complete review form in your website using a Reputation Marketing Platform like Reputation Aegis. The Facebook platform is always changing, but if you have set up a business page there may be a chance that you can ask for reviews through this. Don’t disallow your customers the chance to leave comments on your site. Often if you have written a blog that focuses around your product then customers reading it will leave a comment that can be filtered into your client feedback page. You most likely have product or services descriptions on your website. You may want to write some product reviews of your own geared towards all of the benefits and how to’s and uses for them. Then encourage client feedback on these. You need to have a way to gather the data from your client’s activities. 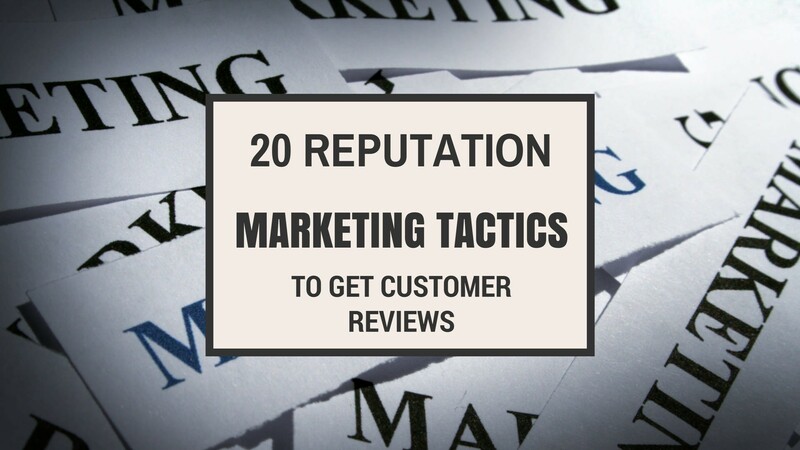 You can then use this to determine the strengths and weaknesses of your Reputation Marketing efforts and then develop ways to improve these. You want to use the reviews that you have gathered to glean even more reviews. An ideal way of doing this is by promoting each of the reviews you receive through your social media platforms. Developing a five star reputation through Reputation Marketing is critical to the success of your business. It develops trust with your clients which is ideal for converting your leads into sales, and for repeat business. It can also help to increase the success on your other marketing tactics. 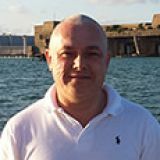 Reputation Marketing can be time consuming and it is something that must be ongoing. The most effective way to implement this type of campaign is to automate as much of it as possible. We stand by your side!